I have mixed feelings about E3 2015. There was some great stuff that was shown and some awesome games I’m excited about — but overall, this year’s E3 didn’t leave me with the same sense of excitement and wonder I’m used to feeling during the year’s biggest week in video games. E3 2015 seemed to be one of the most awkward E3s I’ve ever seen. 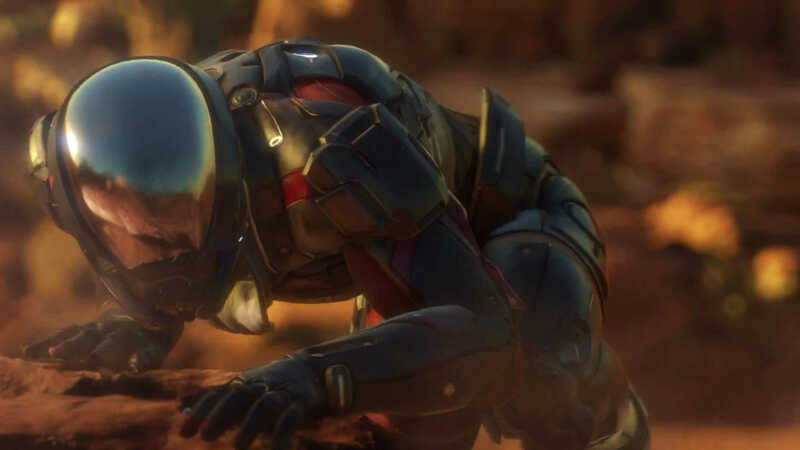 Between EA’s 10-minute conversation with Pele, Aisha Tyler demonstrating she didn’t know how memes work or Square Enix’s entire presentation, these awkward moments seemed to permeate throughout the conference. Due to this, I spent a good deal of time shaking my head in embarrassment rather than clapping my hands in excitement. One of the other major themes I noticed during E3 2015 was the emphasis on remakes and nostalgia. I think it’s awesome that FFVII is getting a proper remake — and I’m hopeful that the Gears of War games get the next-gen treatment they deserve — but I need more than an updated trip down memory lane to keep me excited. E3 is supposed to be a place where the future of gaming is revealed with new IPs or fresh ideas added in sequels; it feels wrong to keep pulling out old games from the vault and presenting them at E3 as part of the “future of gaming.” Don’t get me wrong: I’m completely cool with remakes and “re-mastered editions” of games; I was just not a fan of them taking center stage at E3. On the positive side, I did notice a strong push for diversity in this year’s show and it did not feel like a bro-fest. It really feels like the gaming community is finally starting to come together, which is awesome. They killed it! I found it hard to believe that was their first ever E3 showcase. Bethesda’s showing was one of the most polished conferences at E3 2015 and was a great way to kick off the week. 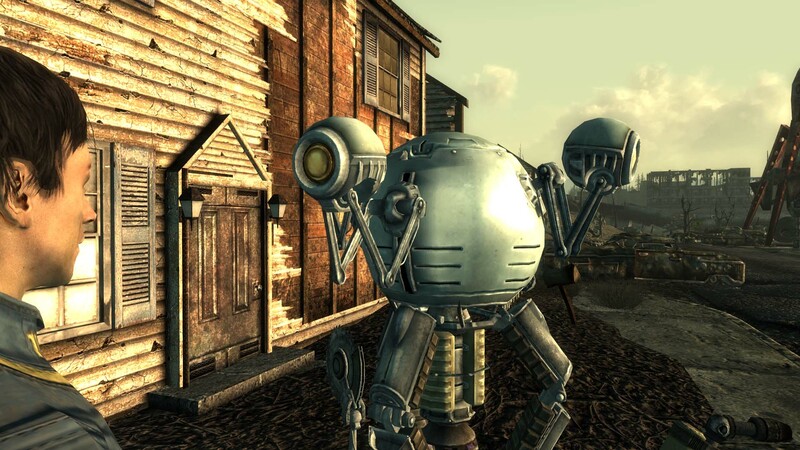 Fallout 4 is obviously a big deal, and Bethesda set the stage that it is going to deliver and innovate in ways no one was expecting. Too bad all the other conferences couldn’t capitalize on the momentum Bethesda created. Microsoft’s show was decent. I’m excited to see the potential of HoloLens, but a part of me is having Kinect flashbacks where the product showcased at E3 was nowhere near the final product. 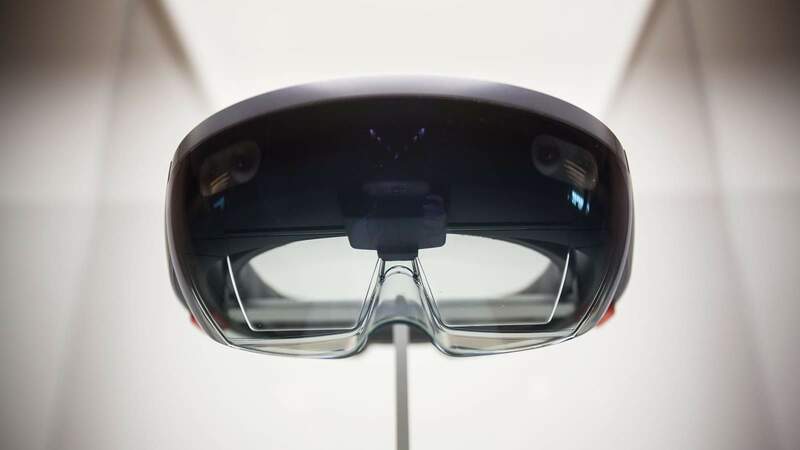 I think the first generation of HoloLens won’t be as great as we want it to be — but by the second or third generation (if it lasts that long), it’ll be a cool product worth having. Otherwise, the Microsoft show was very “meh.” We all knew about Gears of War and Halo, so those lacked any real “WOW” power. I’m not sure why they dropped a Ford GT from the ceiling for Forza; it seemed like a waste of time and effort. The one new IP I’m excited to hear more about is ReCore. I wish they spent more time talking about their new IP than giving us a history lesson on the Ford GT. I also find it very difficult to be super excited for backwards compatibility. The entire premise basically follows a “you don’t have to pay for things you already paid for” model. So . . . yay? This feature should have also been there since Day One, so I’m happy it’s finally happening. Good on Microsoft. EA was all over the place. The show had no pacing or continuity. It kicked off with Mass Effect 4, which I was super excited about . . . because let’s face it, I’m a Mass Effect fan boy. From there, EA’s conference went from Star Wars, to sports, to mobile, back to sports, then back to Star Wars — with some other stuff peppered in between. I will say that EA stole the show with Unravel. That game looked amazing. It seems to be EA’s response to Little Big Planet, and I’m perfectly okay with that. Ubisoft’s presser was pretty entertaining. I enjoyed Aisha Tyler’s performances and how she directed the show from point to point. 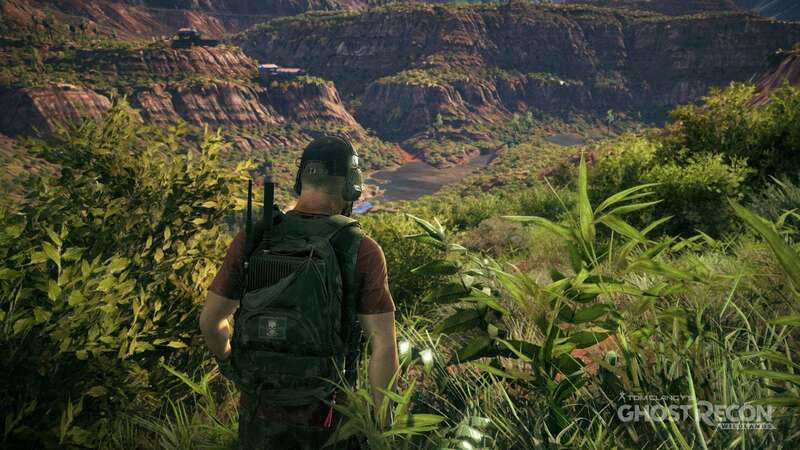 Ubisoft’s reveal of the next Ghost Recon was incredible. I’ve got to hand it to Ubi on that front; their reveals are always pretty awesome. In the same breath, Ubi also killed any excitement I had for The Division. Their emphasis on “anyone can (and probably will) betray you at any moment” is not something I’m fond of. A game that encourages that level of underhandedness will likely have a very toxic community, and I imagine that Ubisoft is going to have its work cut out for them trying to manage the chaos they’ve created. I loved South Park: Stick of Truth, so I’m super stoked for The Fractured But Whole. Even the new Assassin’s Creed has a bit of modern flair to it, which I’m interested in. What a show. Sony is probably going to be declared yet again the “winner” of E3. Sony knows exactly how to appeal to the gamer in all of us — going all in, no-holds-barred during E3. Opening with The Last Guardian was a great way to kick things off. Even though I hadn’t followed the game much since its initial announcement, I could feel the energy from the crowd when they were showing the demo. I honestly don’t know which the crowd was more excited about: FFVII, The Last Guardian, or Shenmue III. 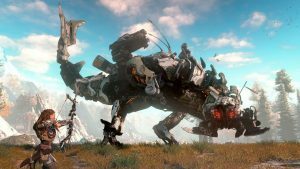 I was very happy to see some of the new IPs Sony showcased, especially Horizon Zero Dawn. While I do think a good chunk of Sony’s press conference was dedicated to nostalgia, they did have some new stuff to keep me entertained and interested. Oh, Nintendo. I really don’t know what to say about this one other than “next year’s show is probably going to be amazing.” Seriously though, what was up with those puppets? 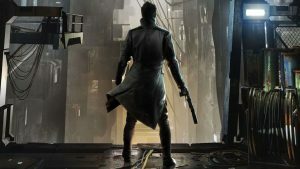 Why are we getting all these weird spin-off type games? What’s this mysterious new console you’re hinting at? Nintendo really dropped the ball this year, but I think that’s because they really didn’t have much to show. 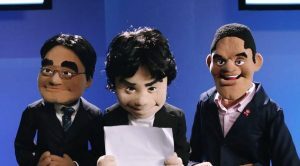 Without a doubt, though, I’m positive Nintendo will knock out of the park next year. Why? Why oh why, Square Enix? What happened? This was the most awkward presentation I think I’ve ever seen. 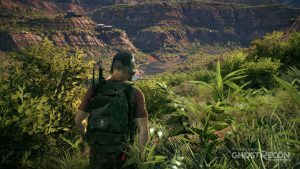 Why did you put a boring corporate narrator in the Just Cause trailer? Why did you preface Kingdom Hearts 3 with a mobile game? Why was that one guy wearing a mask? I have so many questions! Despite all the awkwardness, there were some promising things to look forward to. I’m really stoked to get my hands on the next Deus Ex, and I know several people are excited for Kingdom Hearts 3 — so not all was lost. Lastly, the PC Gaming conference/show/expo/thing. This was the first time anything like this had been done before, which is surprising. PC Gaming has always needed a space at E3, and I’m happy to see it start to happen. It was an odd mix of stuff. AMD obviously sponsored the event — so naturally, they had a big presence there and even showcased some new video cards. There were announcements made, such as No Man’s Sky coming to PC, and interviews about Steam Early Access. This show has some growing pains to go through — but all in all, I enjoyed it. Although it could have been better, it was entertaining. All in all, this year’s E3 was okay. 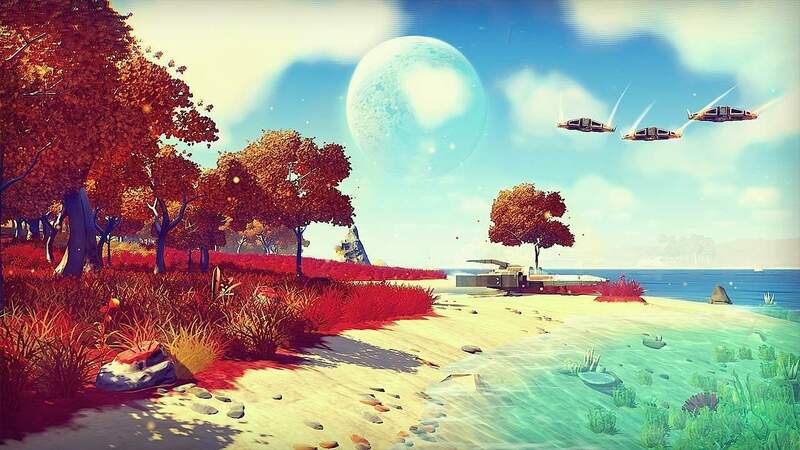 While it was very awkward and nostalgic, it did give us an exciting glimpse into the next couple years of gaming. Top games I’m interested in: Mass Effect 4, Fallout 4, Unravel, No Man’s Sky, Horizon Zero Dawn, South Park: The Fractured But Whole, Deus Ex, and The Last Guardian.